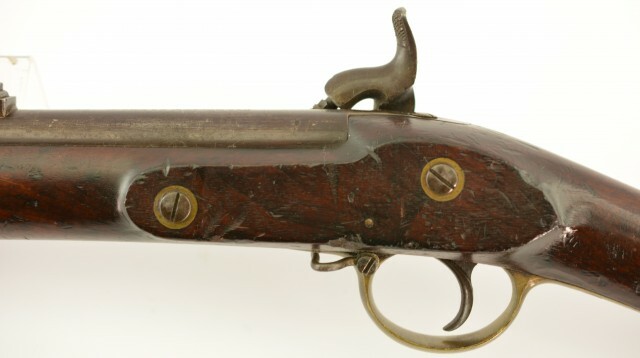 Description: Wilkinson reduced bore rifle from the 1852 British trials. 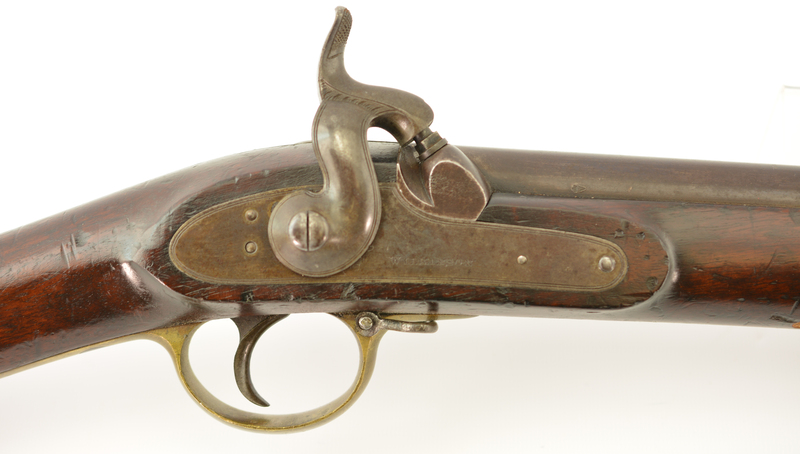 This Wilkinson rifle is basically a scaled down Patt 51 rifled musket in 0.530 bore. 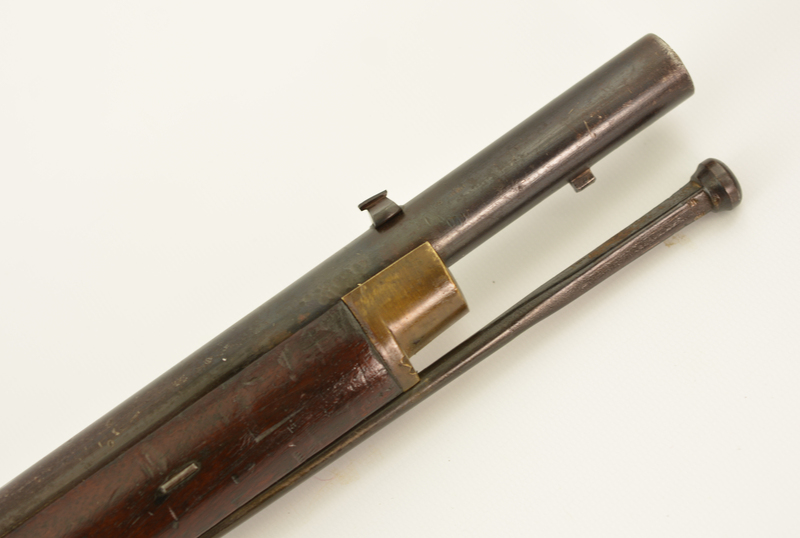 The barrel is 39", 5 groove with ratchet rifling with a bright excellent bore. For reference see "The British Soldier's Firearm 1850-1864 by C.H. roads pages 48-53 . This example retains its' original rear sight and the front sight is a dovetailed replacement as is the rammer. 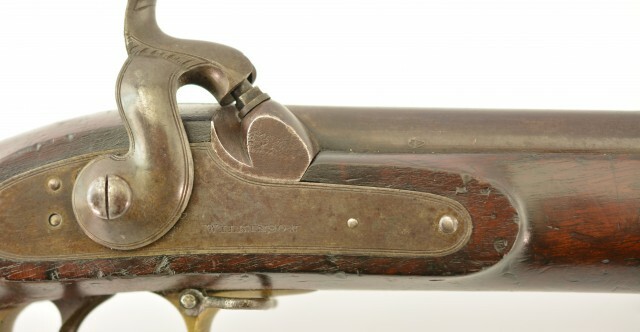 The barrel retains about 70% of its' original finish. The wood is very sound showing only minor usage and storage marks. The brass fittings show no evidence of polishing and have a mellow patina. 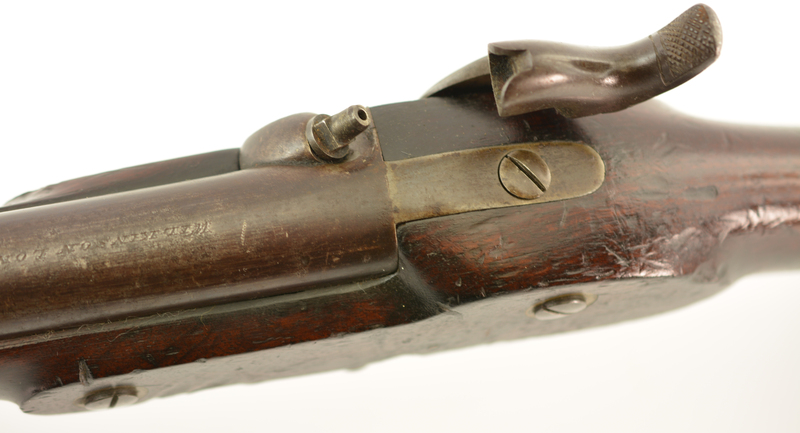 This example is mechanically sound and is a very scarce item for any serious British Military Collector. being a trials rifle there were very few examples built. Most surviving examples are in military institutions and few in private hands. A scarce item.